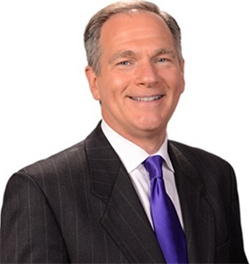 The Institute for Retired People begins its 2015-2016 season on Thursday, Sept. 17, with News Channel 9 Morning News co-anchor Dan Cummings. He is also the host of Newsmakers with Dan Cummings, News Channel 9’s weekly public affairs program. IRP meets from 11:30 a.m. to 1 p.m. at First Baptist Church of Syracuse, 5833 E. Seneca Turnpike, Jamesville. The meeting is open to anyone in the community who is retired or semi-retired. IRP, now in its 44th year, has dropped its membership fee to encourage more people to take advantage of the program, which was started by University College of Syracuse University in 1972. IRP provides opportunities for retired people to stay intellectually active, discover new interests and make new acquaintances. Twice each month, IRP members hear from speakers on a variety of topics including history, political and social issues, arts and culture and the sciences. Presentations are made by University faculty and specialists from the community. Cummings, who was born and raised in Central New York, has 38 years of radio and television experience. He holds a bachelor’s degree from SUNY Geneseo and a master’s degree from Cornell University. He is the recipient of numerous awards, including the Edward R. Murrow award for best news documentary and the Syracuse Press Club’s Professional Standards Award. Cummings will share the highlights of his career as a reporter of Central New York news. For more information, visit http://uc.syr.edu/irp, call 315-443-4846, or e-mail cps@uc.syr.edu. IRP is a community program of University College of Syracuse University, dedicated to the principle of lifelong learning.